A previous Phase 2a study of SM04690, a small molecule, intra-articular (IA), Wnt pathway inhibitor, demonstrated positive effects on knee OA pain, physical function, and medial joint space width (mJSW) at 52 weeks in key subgroups compared to placebo1. A 24 week Phase 2b study was performed to refine patient reported outcome (PRO) measures, target population, dose, and further evaluate safety. PRO results for weeks 12 and 24 are presented here. Methods: Subjects had ACR-defined knee OA, Kellgren-Lawrence (KL) grades 2-3, Pain NRS ≥4 and ≤8 in target knee and <4 in contralateral knee. A single IA injection of 2 mL SM04690 (0.03, 0.07, 0.15 or 0.23 mg), vehicle placebo (PBO), or sham (dry needle only) was given in the target knee at baseline. PRO endpoints included change from baseline compared with PBO in weekly average of daily OA target knee pain by numerical rating scale diary (NRS, [0-10]), Western Ontario and McMaster Universities Osteoarthritis Index (WOMAC) Pain [0-100], WOMAC Physical Function [0-100], and Patient Global Assessment (PTGA) (VAS [0-100]). This study was not formally powered, and sample size was based upon accepted dose-finding convention. Results: 695 subjects (mean age 59.0 [±8.5] years, BMI 29.0 [±4.0] kg/m2, female 58.4%, KL3 57.3%) were enrolled and dosed; 635 (91.4%) completed the study. No meaningful differences in incidence of adverse events were seen among treatment groups or between treatment and control groups. In the full analysis set population (randomized, dosed subjects), significant improvements from baseline were observed in pain NRS for 0.07 mg (Week 12 [P=0.001], Week 24 [P=0.031]) and 0.23 mg (Week 12 [P=0.012], Week 24 [P=0.022]) SM04690 dose groups (Figure). Similar improvements were observed in WOMAC Pain for 0.07 mg (Week 12 [P=0.04]) and 0.23 mg (Week 12 [P=0.003], Week 24 [P=0.031]) dose groups. For WOMAC Physical Function, improvements were observed for 0.07 mg (Week 12 [p=0.021]) and 0.23 mg (Week 12 [p=0.006], Week 24 [P=0.017]) dose groups. PTGA improvements were observed for 0.07 mg (Week 12 [P=0.031]), and 0.23 mg (Week 12 [P=0.010], Week 24 [P=0.033]) dose groups. Conclusion: SM04690, in development as a potential disease modifying OA drug, showed in this Phase 2b study statistically significant improvements from baseline in 0.07 mg and 0.23 mg SM04690 dose groups compared with PBO for Pain NRS, WOMAC Pain, WOMAC Physical Function and PTGA. These data further define outcome measures, target population, and dose for SM04690 as a potential treatment for knee OA. Ref: Yazici Y, et al. Arthritis Rheumatol. 2017; 69 (suppl 10). Disclosure: Y. Yazici, Samumed, LLC, 1, 3; T. E. McAlindon, None; A. Gibofsky, Pfizer, Inc., 1, 5, 8,AbbVie Inc., 1, 5, 8,Celgene Corporation, 5, 8,Samumed, 5,Relburn Pharmaceuticals, 5,Fkexion Therapeutics, 5,Sandoz, 5,Merck & Co., 5, 8; N. Lane, None; C. Lattermann, Samumed, LLC, 5,Cartiheal, 5,Vericel, 5; N. Skrepnik, Samumed, LLC, 2,Sanofi, 5,Orthofix, 5; C. Swearingen, Samumed, LLC, 1, 3; A. DiFrancesco, Samumed, LLC, 1, 3; J. Tambiah, Samumed, LLC, 1, 3; M. Hochberg, Samumed, LLC, 5,EMD Serono, 5,Bioberica, 5,Novartis, 5,Plexxicon, 5,Pfizer, Inc., 5,Regeneron, 5,Theralogix, LLC, 5. Yazici Y, McAlindon TE, Gibofsky A, Lane N, Lattermann C, Skrepnik N, Swearingen C, DiFrancesco A, Tambiah J, Hochberg M. Efficacy and Safety from a Phase 2b Trial of SM04690, a Novel, Intra-Articular, Wnt Pathway Inhibitor for the Treatment of Osteoarthritis of the Knee [abstract]. Arthritis Rheumatol. 2018; 70 (suppl 10). 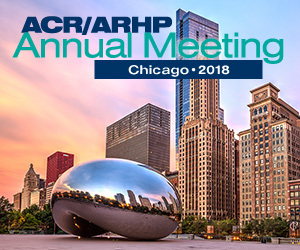 https://acrabstracts.org/abstract/efficacy-and-safety-from-a-phase-2b-trial-of-sm04690-a-novel-intra-articular-wnt-pathway-inhibitor-for-the-treatment-of-osteoarthritis-of-the-knee/. Accessed April 20, 2019.